A “Virtual Trophy Case” has been added to the Soo Finnish Nordic Ski Club website. Visit the Virtual Trophy Case page to find out about the process for nominating people for awards, seeing the names of awards winners from over the years and to find out about the people the awards have been named after. The Virtual Trophy Case page can be accessed from the website menu under Club Resources. ANNUAL AWARDS are presented at the end of season club banquet. President’s Award – awarded annually to a person who has made a significant contribution over many years towards club activities and cross country skiing in Sault Ste. Marie. Janet Rodger-Anderson Award – given annually to the master skier who through example, endeavour and friendship, promotes and fosters cross country skiing among the people of Sault Ste. Marie. Jim Patterson Memorial Award & Joie de Ski Pin – celebrates the participation and accomplishment of those ski club members who share enthusiasm, love of skiing and sense of fun. If you are a Soo Finnish Nordic Ski Club member would like to nominate someone for an award please read the page that describes the process Awards Nomination Process and fill out the Awards Nomination Form. All nominations MUST be completed and submitted by email to contactus@soofinnishnordic.com by Friday March 9, 2018. 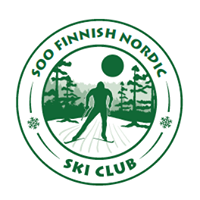 Nominations may be made ONLY by Soo Finnish Nordic Ski Club members. Nominees need not necessarily be ski club members. All nominations MUST be completed in full. Nominators MUST select which award they are nominating the individual for and provide rationale for the nomination.